Keg Coupler - D Type (US Sankey) - with pressure relief valve and stainless steel body and probe. Prevent gas or liquid leaks on your MFL connections This washer fits inside any of our MFL conections which are on our MKIII multi gas regulators, MFL ball and pin lock disconnects, cold plate, FFL swivel nut and barb and FFL 8mm push fitting..
A Gas Ball-lock Disconnect with a barbed fitting for your gas line. CMB quality. A Gas Ball-lock Disconnect with a barbed fitting for your beer line. CMB quality. 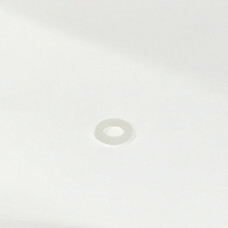 A 5/8" Washer Seal for Keg Coupler or Tap Shank.